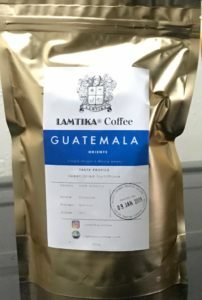 LAMTIKA coffee can roast your favourite coffee on request so that it is roasted fresh per order. 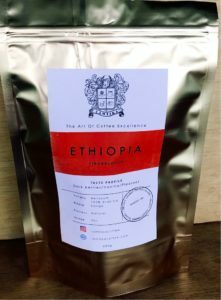 Each order is artisan roasted fresh and will be delivered within two days of roasting unless delivery is by post. Coffee tastes the best when it is drunk freshly as soon as possible after roasting or grinding the grounds from the whole beans. We recommend that you buy only enough coffee to meet your coffee needs for one month. 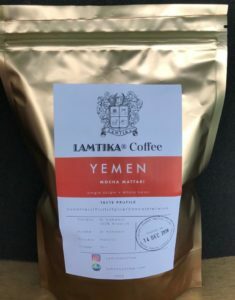 Once this coffee has been consumed buy freshly roasted coffee so your coffee drinking experience is elevated to the unique excellence of Lamtika's signature aromas and flavours. 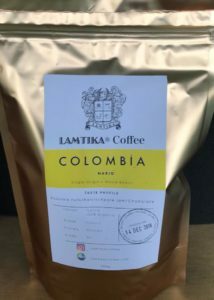 All LAMTIKA coffee bags are fitted with a one-way valve to keep moisture away from the coffee while at the same time enabling the release of CO2 from the coffee after roasting. This de-gassing process is active for up to a week after roasting. Each bag has a seam to seam ziplock seal. 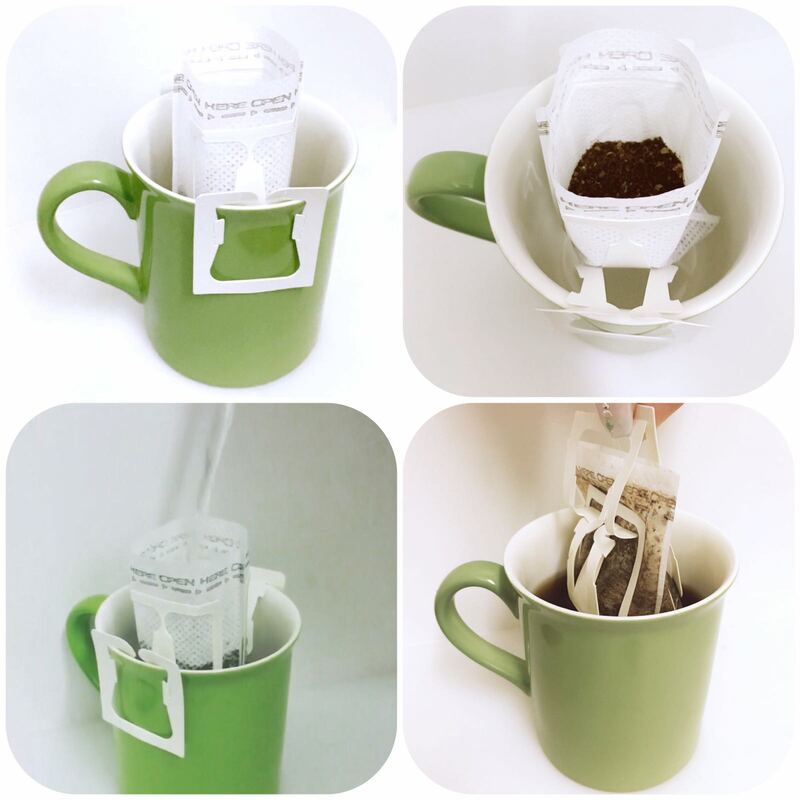 This allows you to reseal the coffee bag after each use so your coffee stays fresh for longer. Just squeeze out any excess air and reseal the bag. 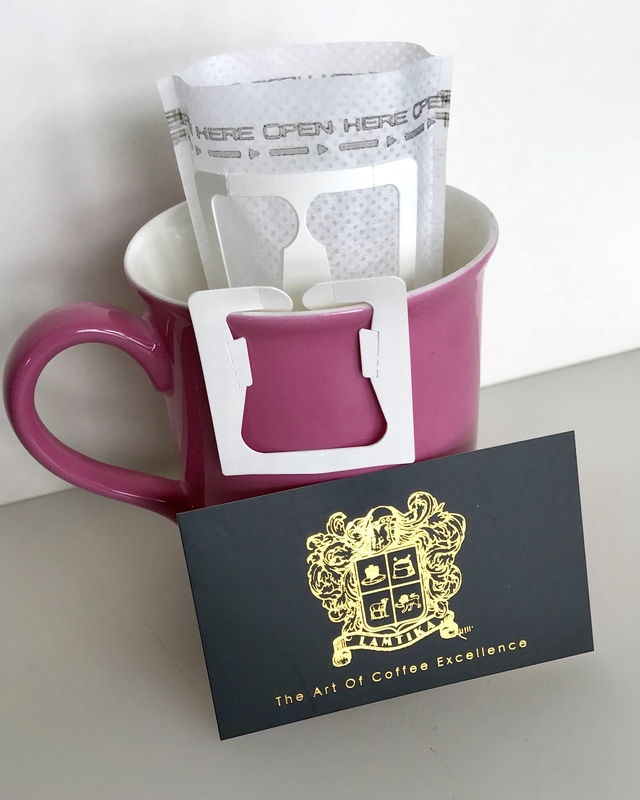 For the best storage of your coffee keep the bag out of direct sunlight in a cupboard. 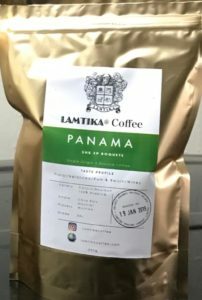 These helpful hints will ensure that you enjoy the "best coffee at the best price" every time you drink LAMTIKA coffee. 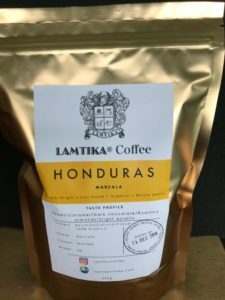 Hand graded Colombian 100% arabica dessert quality coffee. Nario Estate (Single Origin), Variety-Typica, Flavor score at cupping 85+/100, Taste profile: Roasted Nuts, Raisin, Apple jam, Chocolate. 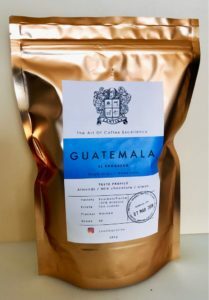 Hand graded Colombian 100% arabica dessert quality coffee. 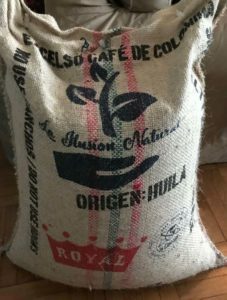 huila Estate (Single Origin), Variety-Arabica, Flavor score at cupping 88+/100, Taste profile: Red Wine, grape, Cherry, Cacao. Taste profile: dark berries, blackcurrant, vanilla, pleasant after taste. 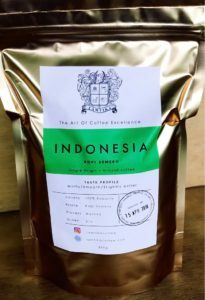 Kopi Semeru 100% robusta coffee imported from Indonesia Mt. Semeru. Flavour score at cupping 81+/100, Taste profile: with a moderate caffeine kick for those who need the extra stimulation. It offeres a crisp Molasses flavour with a thin body followed by a mild bitter after taste, not lingering. El Progreso San Juanes estate Bourbon/Pache, washed process, 100% Arabica, 88/100 flavour score. Profile: Well balanced almonds, milk chocolate, sugarcane, sweet and clean. 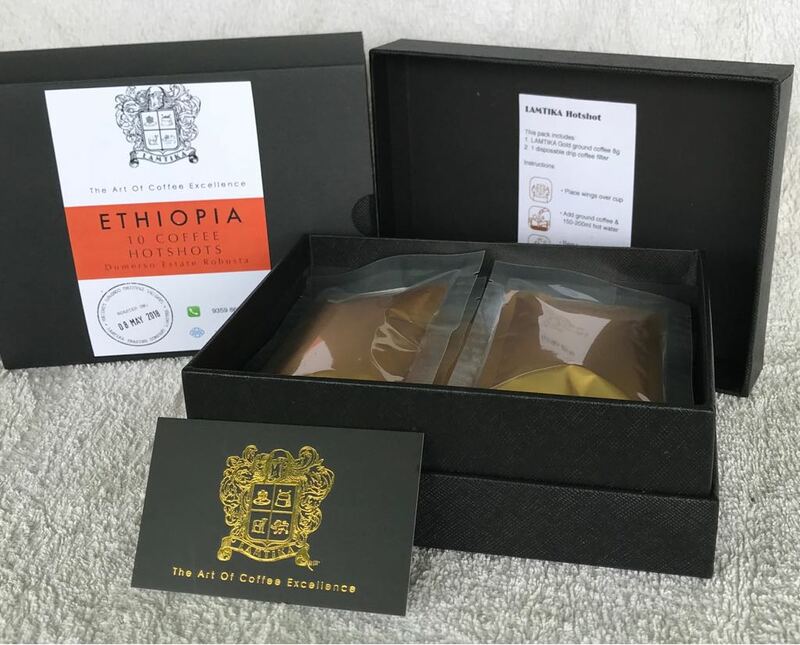 Oriente estate , natural process, 100% Arabica, 90+/100 flavour score. Profile: Sweet, Dried Fruit, Prune. Shb Ep Boquete estate , washed process, 100% Arabica, 88+/100 flavour score. Profile: Floral, Balanced, Rum & Raisin, Winey. Marcala estate , washed process, 100% Arabica, 88+/100 flavour score. Profile: Sweet, Caramel, Dark Chocolate, Roasted almonds, Slightly acidic. 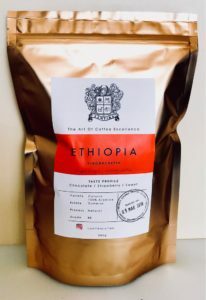 Mocha Mattari estate , washed process, 100% Arabica, 90+/100 flavour score. Profile: Sweetness, Fruits, Spice, Chocolate, Wine. 100% Arabica coffee. No equipment required, simply use a cup and hot water! Ideal for travel or gifts. 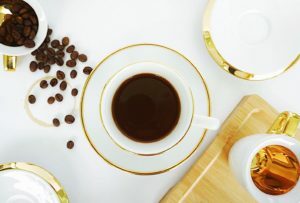 You can choose sachets which contain either Gold Label coffee with less caffeine or JAVA Gold coffee with more caffeine. A simple yet elegant cappuccino cup and saucer set masterfully designed by Daniel Eltner. 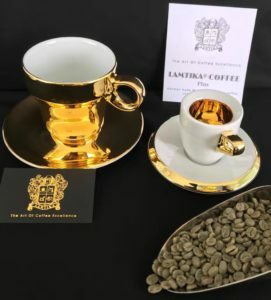 A stunning and elegant 18K Gold Espresso cup and saucer set. Excellence is measured with; "the perfect Coffee paired with the Perfect coffee cup". LAMTIKA + Walkure. 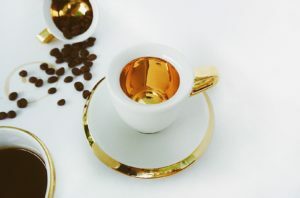 Walkure fine China coffee cup 280mls in 18K Gold with saucer. LAMTIKA + Walkure. Simple and quick to use. All you need is a cup and hot water. 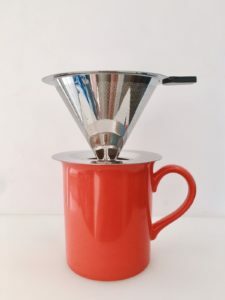 A Stainless Steel micro mesh coffee filter will be free for new customers with the purchase of freshly roasted coffee at $168 a bag. The perfect gift for travellers and the office. Finely ground 250gms for espresso machines with no grinder. Gold Label or JAVA Gold coffee grounds 8gms, one disposable coffee filter plus an instruction note. 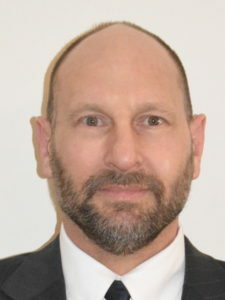 Our Coffee roaster Mr. Kim Kennelly is a member of the Specialty Coffee Association of America (SCAA) Roasters Guild (RG).